This is one event not to miss! 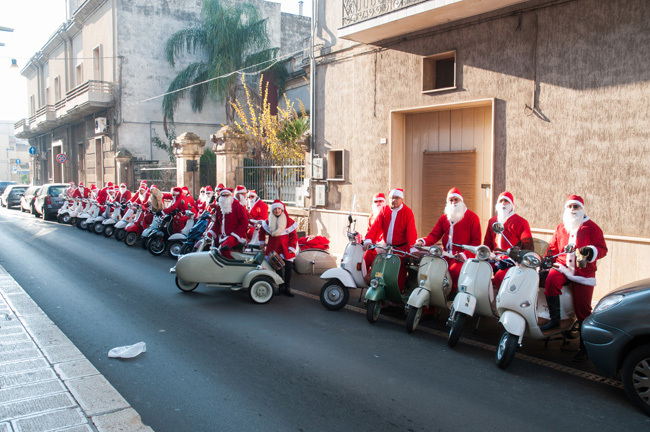 Babbo Natale or Father Christmas as he’s known to me, travelling in style, on a Vespa, through the streets of San Vito Dei Normanni, Puglia. How cool is that! But not just 1 Father Christmas, lots! 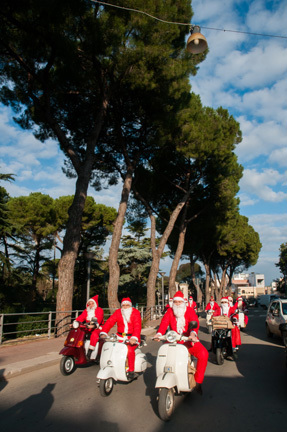 Only in Italy would you get to experience this. 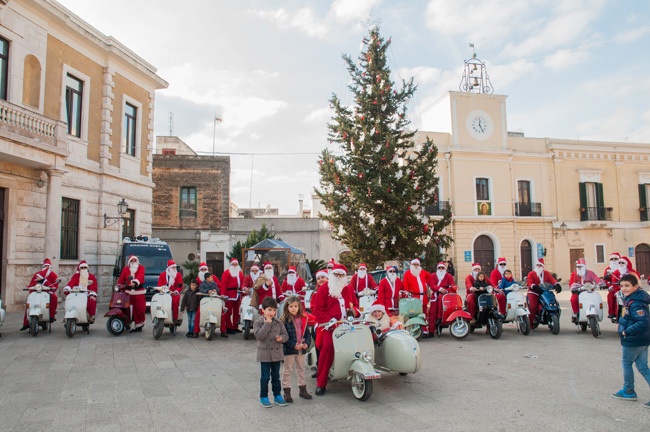 This event is becoming a great tradition of San Vito Dei Normanni, and people of all ages gather in the streets to see this Christmas cheer. 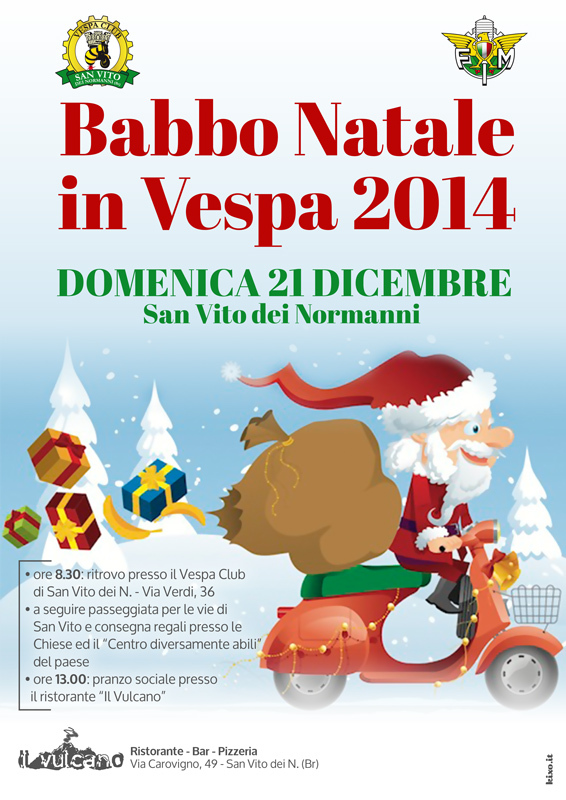 Make sure you go out to support the Vespa enthusiasts on Sunday 21st December 2014 and say ‘ciao!’ to Santa.